I have a reputation as an organized person. 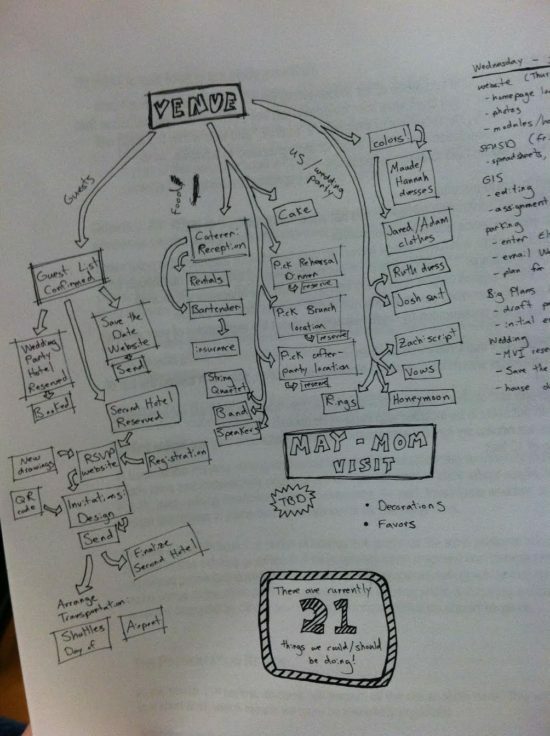 After three requests in the past three weeks, here’s everything I learned planning the best wedding of all time with Josh in 2013. Yo Kimye, I’m really happy for you, Imma let you finish but Josh and I had one of the best weddings of all time … one of the best weddings of all time! When a transportation planner / graphic designer and a project manager / web developer throw a wedding, you know it’s going to be highly organized and beautiful. 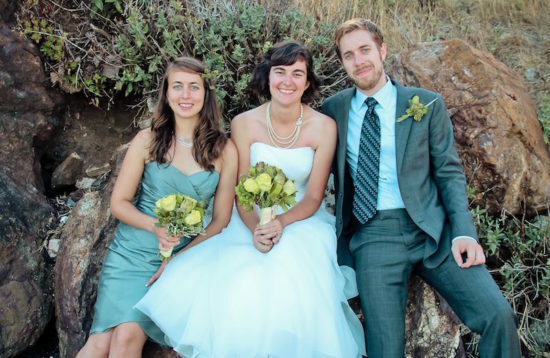 We got married in June 2013 in Tiburon, California. We had about 120 people, a food truck with lobster rolls, a 3D-printed cupcake topper of ourselves, homebrewed beer, an oyster bar, a rock band that covered Daft Punk, an artichoke bouquet, and a private shuttle that connected to the ferry and BART. And the best friends any couple could ask for. We went from engaged to walking down the aisle in two days shy of six months, because in addition to being supportive life partners, Josh and I are highly organized people with similar tastes. And, honestly, because our parents wanted to buy themselves a huge wedding and let us plan it. It takes a confident bride to flank herself with people this good looking. Every decision relies on several other pieces of information. Make some flow charts, start backing things out, and be prepared for hard choices. Pick a date. Choose a rough time window for the wedding, and figure out who absolutely has to be there. Find out when they’re available, and decide who you can live without. Our date was decided for us by school calendars, other peoples’ weddings, the State Department, and guinea worm season. Pick a venue. Make a budget and guest list. Decide what kind of food and drinks you want (some places require you to work with their caterers). Again, decide what you can’t live without. We needed something for about 100 people, within a few miles of Bay Area transit, outdoors, that allowed homebrewed beer and a food truck. This step may require getting event insurance. Printed invitations. Pick some colors and other twee nonsense, find a printer, buy some stamps. Use that same printer and nonsense for the program later. Website. Plus ones? Kids? Make an FAQ. Our site is in Jekyll, but WordPress, SquareSpace, HTML: share your meet cute however works for you (also GIFs). Hotels. Be merciful and pick a couple reasonable hotels nearby (a nicer one and a more family-friendly one). Call and ask for a block discount, most big chains do it. Not everyone will stay there, but those that do will appreciate not having to worry about navigating a city they don’t know. Registry. Ask for stuff, ask for cash, pick a nonprofit. You do you. We made a Kickstarter-based registry for our honeymoon to Alaska, and lots of people contributed at the Salmon Level to buy us champaign on the flight. Like the idea? Fork it on GitHub. Hire vendors. Caterers, bartenders, florists, musicians, photographers, furniture rentals, coordinators, officiants, printers – anyone that works with weddings is going to book up early. Ask around, meet with the people you like, and lock them down. 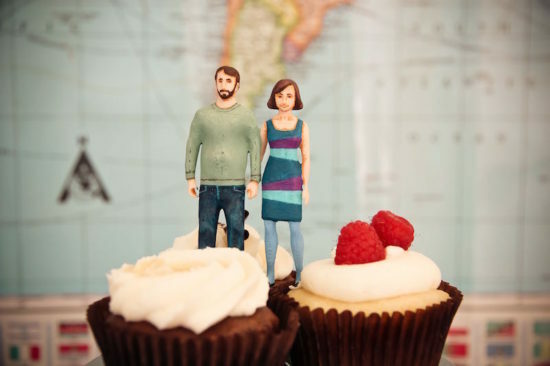 This includes oyster shuckers, party bus drivers, and people you hire to 3D-print your likeness for a cake topper. Figure out what you’re wearing. The bridal gown industry hasn’t changed much since the Victorian era, so assume ordering and tailoring a gown will take several months. Go get that nice suit or tux. Tell your wedding party (bridesmen and groomsmaids or whatever) what you expect from them. Leave time for tailoring if you’re going fancy. Get shoes and jewelry or whatever else. Coordinate your immediate families. You’re still working with other people, but theoretically, these should be the easiest. Assume people traveling will want to arrive a day or two before. Find and recommend a hotel if needed. Pick a spot for a rehearsal dinner and brunch(es) and make reservations. At this point, you should know where everyone will be from 48 hours before the wedding to noon the day after. Coordinate yourselves. Get some rings. Write some vows. Plan a honeymoon, or figure out how you’ll need to come down after it’s all over. If you’re designing and printing your own program, do it now. Do everything else that is mission critical (and be honest about what that means). If you’ve addressed steps 1-7 in order, the pressure should be off. Now’s the time, if you have headspace and budget, for everything else. 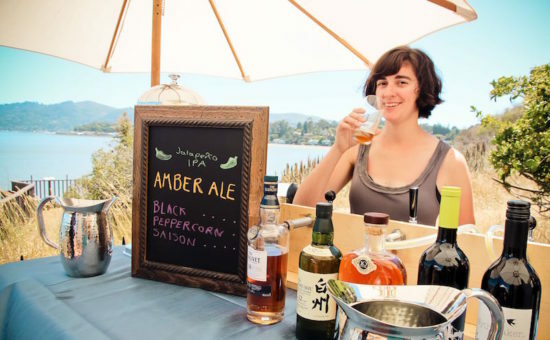 This is when you design your chuppah, make your chalkboard bar menu, rent a sound system, incorporate your grandmother’s lace, or whatever other details weren’t depending on other people. Josh and I organize people and projects professionally, so we extended those tools to our wedding. We created a project in Basecamp to track tasks and delegate responsibility. This was 2013, now we’d likely use Asana or Trello. We used MailChimp to send updates. We should have created segmented lists for special groups, like people traveling from out of town and families with children. We created several Google Docs: budget, vows (shared with our friend that officiated), flows and timelines for the week and day of. Engagement Photos: We were skeptical, but this was a surprisingly good idea. Our fantastic photographer recommended we spend an hour practicing being photographed. It helped us get more comfortable kissing on camera, which made for a more relaxed time and better photos on the big day. Cellphones and Cameras: We asked our friend/officiant to tell people not to take photos during the ceremony. The wording was something like: “Hi everyone, meet Julie, she’s a professional photographer. She wants pictures of your faces, not your phones. Ruth and Josh will share all the pictures with you, so please don’t take our your cameras and just enjoy the ceremony.” We got some complaints (which we ignored) and got great pictures. It was such a hit, I’ve been asked to read similar language at two weddings since. Guest book / stones / quilt / etc. : Real talk – people aren’t going to put as much care into writing you a nice message as you put into planning this day (especially if your bar is good). Books are especially hard, because your friend’s sweet comment may share a page with your mom’s frustrating attempt at humor. Plus, do you really want to carry a box full of handwritten stones with you every time you move? If I did this again, I’d do the wine bottle message thing: set out bottles numbered 1, 3, 5, 10, 25, and ask people to write a message to the couple to be opened on that anniversary. Good for a future evening’s reminiscence, but not overwrought. Highly optional. We hid lots of gold chocolate coins for the kids to hunt, and ended up having to retrieve them ourselves. Turns out, you know who’s good at occupying kids? Their own parents. If I did this again, I’d provide some coloring books and call it a day. F that noise. This wedding was both of ours from start to finish. Josh may have been more of a Groomthra than I was Bridezilla, but it was a team effort, and I love all his fancy decisions. People that “let” their spouses do things are weird. Our friends were also a huge part of this team, showing up early and staying late to build a bar, move chairs, and fix hair. Josh and I spent most of the honeymoon, instead of staring googly-eyed at each other, marveling at our amazing friends. Pinterest: Surfing the wedding blogs at 1 AM and find something you think looks nice? Pin it. Pin everything that catches your eye until you figure out what you like and where to get it. It’s dumb that Pinterest isn’t part of the “cool Internet” because it’s associated with feminine, and thus less serious, activities. Curation is an important component of research, particularly for something as inherently visual as a wedding. Make some boards. Me, after my almost-mother-in-law told me to get dressed. The landing page of our site features the house were our ceremony was held (drawn by me during urban design studio). The sky changes color based on time of day, day of year, and actual conditions in Tiburon, California (built by Josh at 3 AM some night). The Story section of our website describes how we met and got engaged. We made custom fonts based on our own handwriting, and alternate the verses between authors. We borrowed an idea from another couple to choose wine for the wedding. We threw a party, and asked people to bring a bottle of wine under $15 for a double blind taste test and vote. Unfortunately, we had too good a time and collected no usable data, so we and our parents each bought a case of something we liked. A friend’s string quartet played our processional and recessional music. We requested Sweet Caroline for the recessional, on behalf of our Red Sox-loving parents that were too emotional to even notice. We cajoled another friend into printing a model of ourselves to top our cupcake tower. It. Was. Awesome. We brought it with us on our honeymoon, and took more photos with “Little Josh and Ruth” than of our adult human selves. We asked a mutual friend to officiate. Having now officiated another wedding myself, I realize that this was a huge ask, and our friend did an incredible job. It was great to share this with someone we knew, and we all learned as we were doing it together. 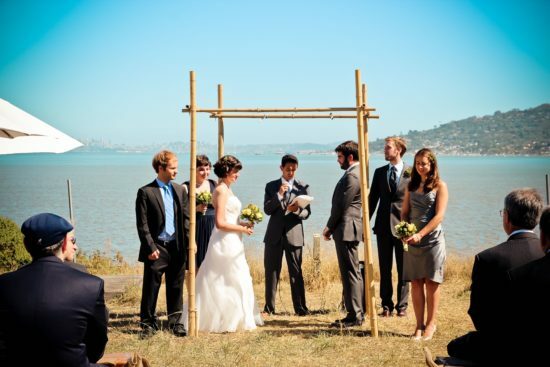 We built a chuppah (Jewish wedding gazebo). Instead of the groom circling the bride seven times, we circled each other 3.5 times. Per my request, we also invoked the Faith of the Seven with a brief Game of Thrones reference. We distributed wedding jam as a favor. Following the Japanese tradition of giving consumable gifts, and the TSA tradition of fluids less than 3 ounces, we made a hundred tiny jars of maple peach jam (representing the principal exports of our home states, Vermont and Georgia). 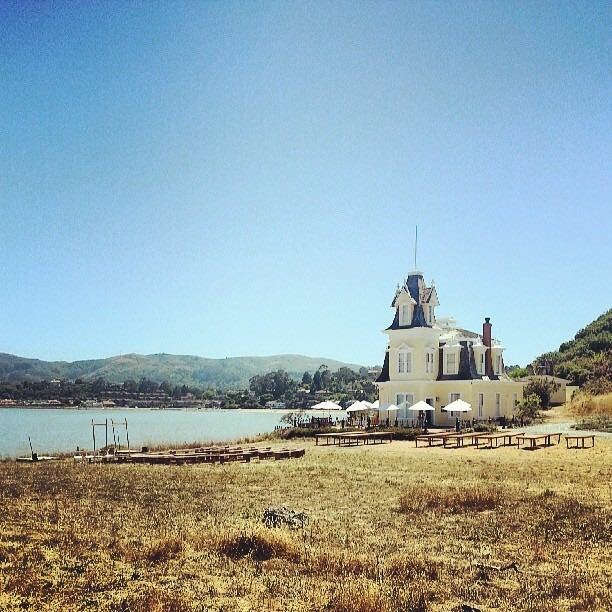 Our venue was a few miles from the Tiburon ferry terminal, and our after party was a few miles away in Mill Valley. We hired a shuttle to get people between the ferry and the venue, from the venue to the after party, and to bring people back to San Francisco to catch the last BART train of the night. We even published a schedule.